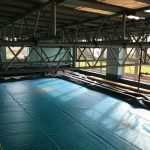 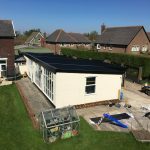 Strip and re-sheeting of an existing swimming pool & flat roofed changing rooms. 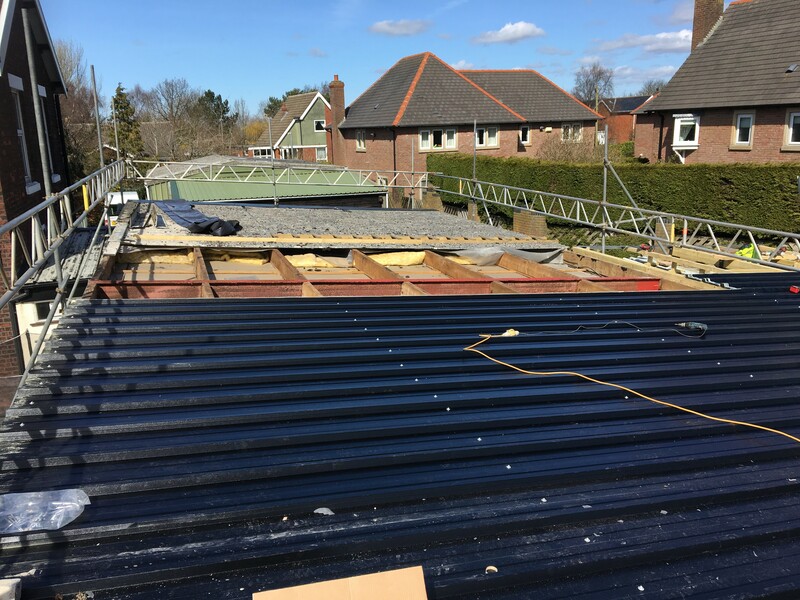 The existing Asbestos sheeting was safely removed and placed into hazardous waste skips for removal from site. 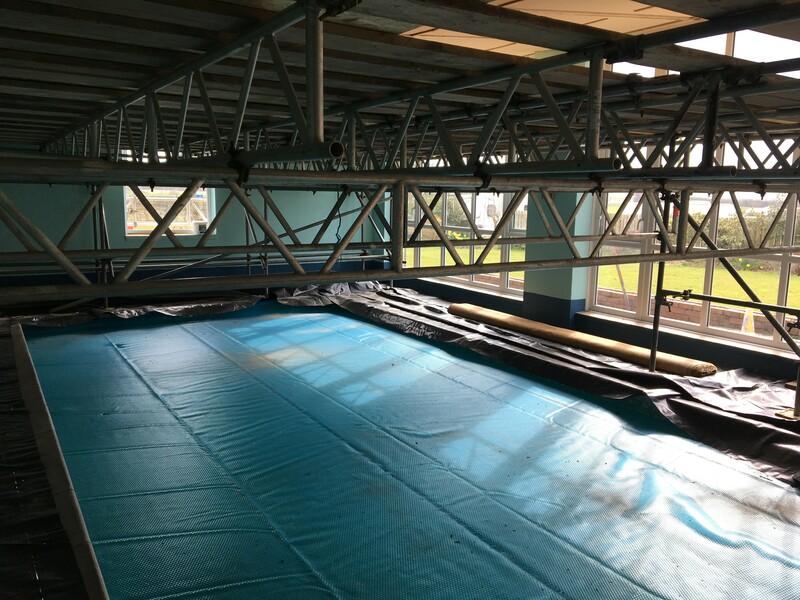 The swimming pool was then re-clad in Kingspan KS1000RW composite cladding, with a 100mm thick insulated core. 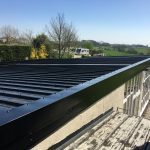 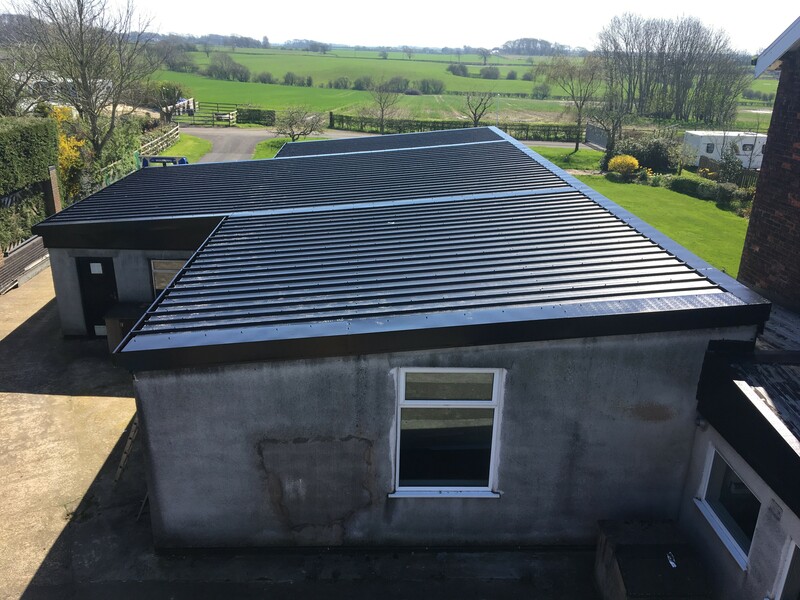 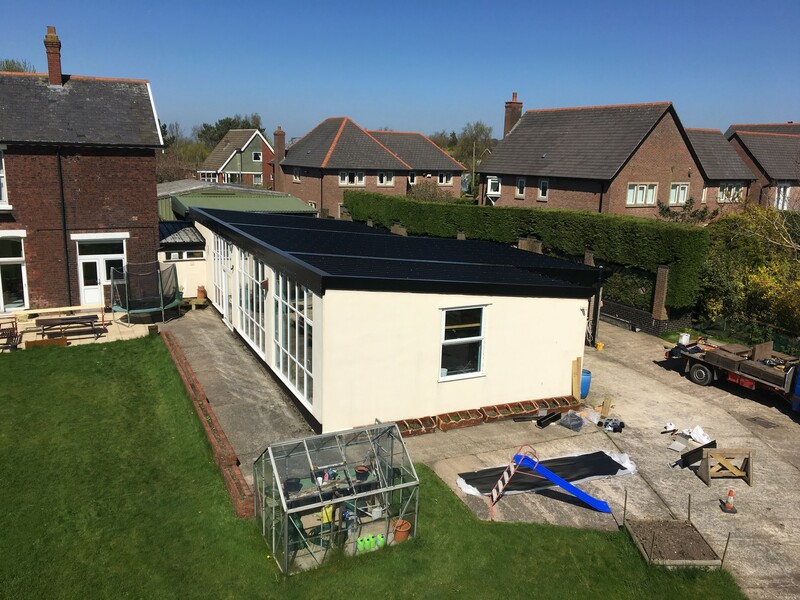 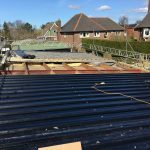 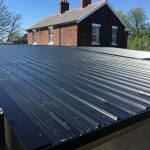 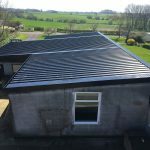 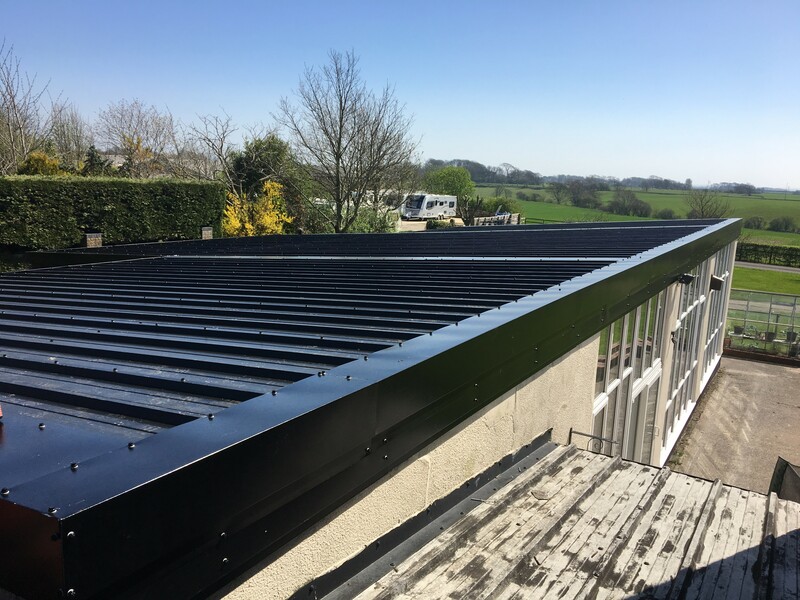 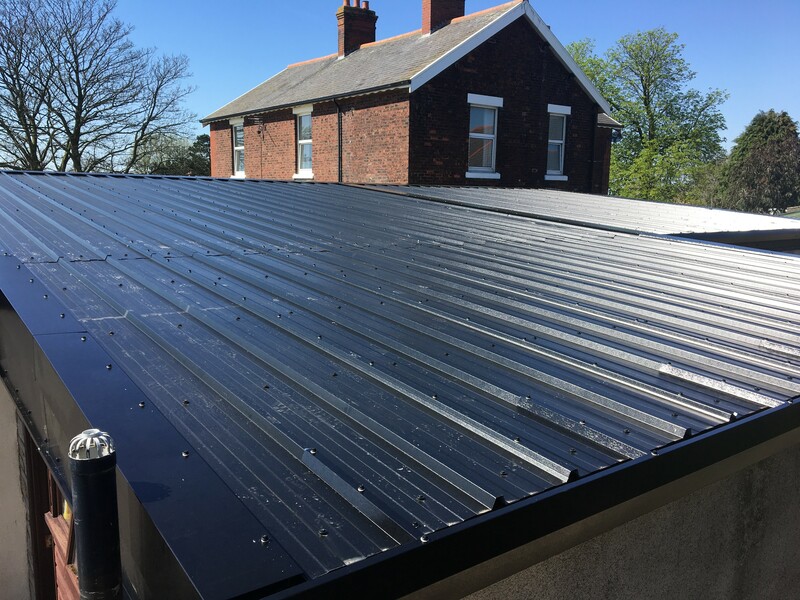 A new timber frame was added to the flat roof of the existing changing rooms to provide a pitched roof to match the rest of the swimming pool.